A new study may not be a reason to put the brakes on distance learning in community colleges, but a look in the rear view mirror might be warranted. The study notes students enrolled in online community college courses exploded from 700k to 5 million from 1997-2007. 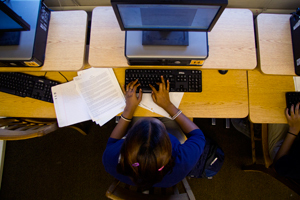 Now, evidence shows that policy makers need to re-evaluate online courses at community colleges. Di Xu and Shanna Smith Jaggars of the Community College Research Center at Columbia University studied 51,000 students who entered community and technical colleges in Washington State in 2004 and stalked them for five years. Researchers completed a shorter study to confirm results in 2008. The researchers say results were similar to a parallel study in Virginia. Online education is all the rage with politicians looking for ways to expand the capacity of public colleges to educate more students — on a budget. 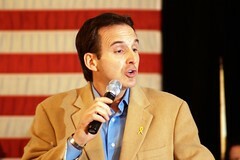 Tim Pawlenty, the Republican presidential candidate, pushed online education while he was governor of Minnesota. Rick Perry, the Texas governor who may soon become a Republican presidential candidate, has suggested that web-based instruction could be the key to offering degrees to students that are much less expensive than those in the state today. But a new study urges caution to those who believe that online education is a panacea for educating more community college students. The study finds that students who enrolled in online courses — controlling for various factors that tend to predict success — were more likely to fail or drop out of the courses than were those who took the same courses in person. Notably, there was not a gap in completion between those enrolled in hybrid and in-person courses. Ms. Jaggars said lower completion rates in online courses often boil down to a combination of technical difficulties, a lack of structure, and isolation. Online students often have little training in how to navigate the online interfaces of their courses and struggle to manage their coursework without the grounding of weekly class meetings. “People assume this generation is super-technologically sophisticated, but that’s not necessarily true, especially in the community-college population, which tends to be low income, disadvantaged, and includes more older students,” Ms. Jaggars said. 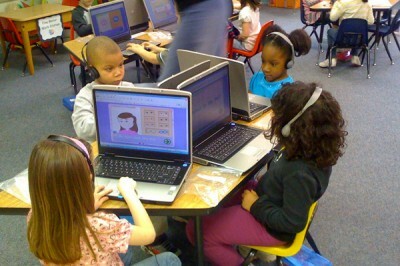 Require students to take an assessment of their readiness for online instruction. (Washington State encourages, but does not require such participation.) Further, the assessment might do more, the authors write, for students who are found to be unlikely to succeed. For instance, it might automatically point them to courses they could take in person. Add training for faculty members on online pedagogy. Improve student support services. The authors note that many community colleges offer around-the-clock technical support for online students, but offer tutoring and academic online services only during limited hours. The same scheduling reasons that encourage community college students to enroll online mean that they need flexible hours on a range of services, the authors write. Full article at Inside Higher Ed. Another take by Chronicle of Higher Ed.